SENTEC has announced the release of a new room temperature sensor from Greystone. The TE-200-AEM is a space temperature sensor that is microprocessor based and terminates to the analogue inputs of virtually all makes of building control systems. 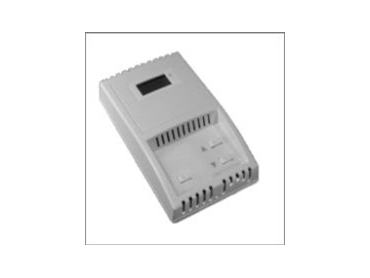 The LCD display can be configured to display readings in either °C or °F. The setpoint value will be displayed for two seconds after the momentary push button is released. This setpoint is factory configured from two to five degrees on either side of a fixed preprogrammed space temperature. An optional override button and LED are available for local indication of override status. * Highest quality double-sided FR4 PCBs.